Sumup is a mobile payment solution. You can accept all payments by debit or credit card on your smartphone or tablet. 1/ How does it work? The shopkeeper opens a Sumup account and acquires the Sumup Air card terminal. Then, he installs the Sumup app (on iOS or Android) and connects the payment terminal by bluetooth. With the Sumup Air terminal, the customer can enter his PIN code. At the checkout, Hiboutik sends automatically the amount to pay to the Sumup app, that will manage all the payment process. With no fixed costs, Sumup only takes commissions on each transaction. Amounts received with Sumup can be transfered to the shopkeeper bank account. 2/ How to set up Hiboutik to receive payments with Sumup? So easy! 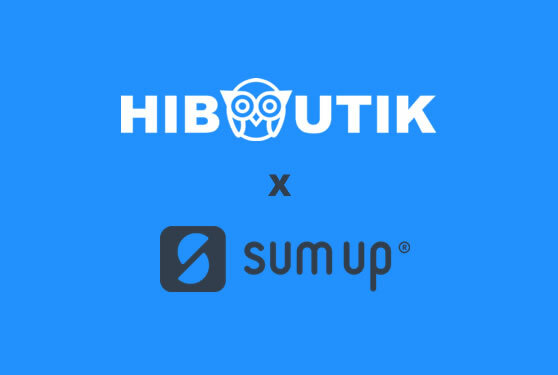 Ask to Hiboutik customer service to add the SUMUP payment method on your account. 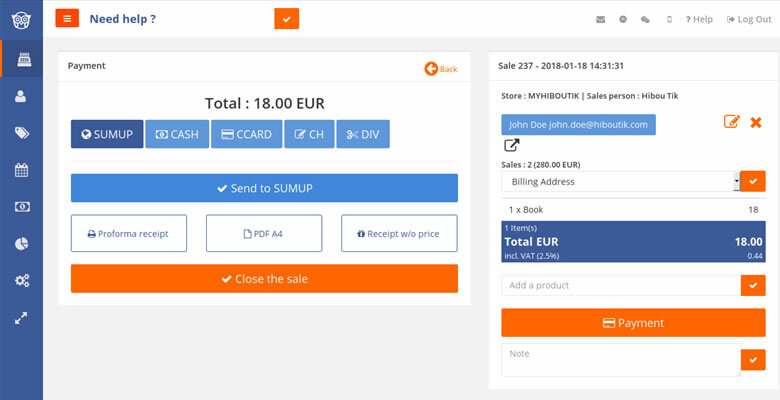 Then, when you reach the Payment screen of a sale, select the SUMUP payment type. You will find a new button to send the amount to pay to your SUMUP app. Proceed to the payment with SUMUP and if it succeeds close your sale in Hiboutik.